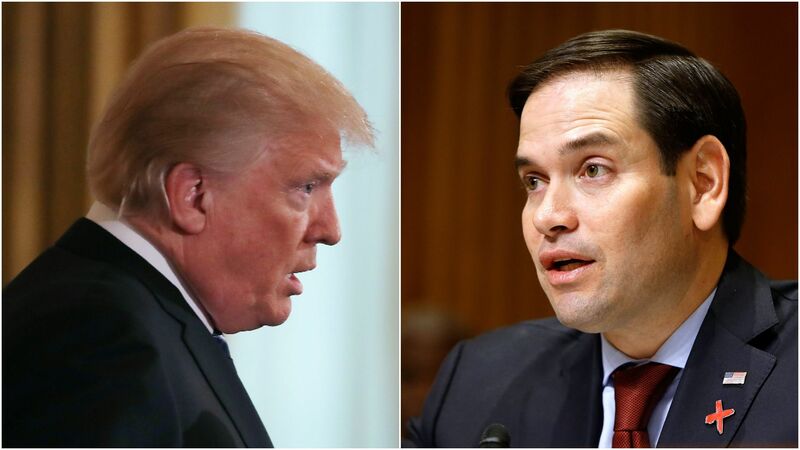 Among the most vocal critics of President Trump's cave on his trade threats to China is Republican Sen. Marco Rubio, his former opponent on the 2016 campaign trail. What's happening: A perfect storm of North Korea, Steve Mnuchin and a lack of internal focus has Trump backing away from tariffs against Chinese goods and reportedly floating a deal for rogue Chinese phone maker ZTE. Rubio, one of the co-chairs of the Congressional-Executive Commission on China, is tweeting a steady stream of rebukes of the White House's moves — and hinting that Congress may act to overrule Trump's decisions. "The U.S. and China have agreed on the broad outline of a deal that would save imperiled Chinese telecom giant ZTE Corp."
The background: The Commerce Department's ban that killed ZTE was put in place due to the company's repeated violations of U.S. sanctions against Iran and North Korea. The Pentagon has also banned ZTE's phones from retail outlets on U.S. military bases due to concerns from intelligence agencies that the Chinese are using its devices to spy on Americans. Go deeper: Rubio told Axios earlier this month that the U.S. can't remain silent on Chinese human rights violations in order to secure a better trade deal.